The issue of which constitutional safeguards apply to unlawful aliens has been a topic of heated discussion in recent years as the immigration situation continues to dominate national headlines. Many federal courts have danced around issuing clear holdings that define which rights apply to illegal aliens. The Ninth Circuit Court of Appeals case U.S. v. Torres reminds us that even as unlawful aliens gain access to due process and fair treatment, they still remain subject to federal laws that restrict their behavior beyond what a U.S. citizen or legal resident may have to comply with. The 2008 Supreme Court case District of Columbia v. Heller established that the constitutional protections of the Second Amendment apply to all of “the people in the U.S.” An issue that has been left for debate among the federal courts is whether “the people” includes illegal aliens in terms of extending the constitutional right to self-defense. Many circuit courts have been unwilling to go so far as to conclusively rule that unlawful aliens are included in this category. In U.S. v. Torres, the defendant was convicted of being an unlawful alien in the U.S. in possession of a firearm, which violates 18 U.S.C. § 922(g)(5)(A). He was sentenced to 27 months in prison with an additional three years of supervised release. Although he did not dispute that he was indeed an unlawful alien in the U.S., the defendant appealed his conviction and sentence based on an argument that the statute he was convicted of violating was unconstitutional pursuant to the Second Amendment. The government argued that the Heller decision made clear that the constitutional protections of the Second Amendment are tied to citizenship. The Ninth Circuit rejected the government’s argument that Heller set forth the categories of people to whom Second Amendment protections would apply. The Ninth Circuit declined to issue a definitive ruling on whether the Second Amendment protections extend to unlawful aliens per se. The court noted that unlawful aliens do have constitutional rights, including those set forth in the Second Amendment, but the state of the law is unclear on how far those rights extend. Instead of taking a bright line approach in determining which constitutional rights unlawful aliens retain and how far they extend, the appellate court simply assumed that unlawful aliens were included among the groups of people who are protected by the Second Amendment. It then moved on to determine whether the specific statute was unconstitutional. Ninth Circuit Upholds Prohibition on Unlawful Aliens Possessing a Firearm in the U.S. The appellate court determined the appropriate level of scrutiny under which the statute would be analyzed by considering that the statute’s prohibition was not a lifelong ban. The unlawful alien could pursue legal status and then become exempt from the ban on firearms. Thus, the court found that strict scrutiny of the statute did not apply. Applying an intermediate level of scrutiny, the appellate court held that the government had a “strong interest” in protecting the public from those who have already disregarded the laws in entering the country unlawfully. It reasoned that the government’s interests in protecting public safety and preventing crime were legitimate justifications for imposing this prohibition on unlawful aliens. 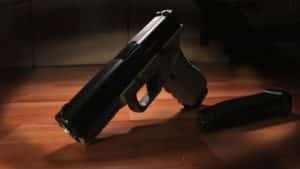 Ultimately, the appellate court affirmed the defendant’s conviction of being an illegal alien in possession of a firearm, while upholding the constitutionality of the prohibitions of 18 U.S.C. § 922(g)(5) against unlawful aliens possessing firearms while in the U.S. The Ninth Circuit’s ruling in U.S. v. Torres is a relevant reminder that the federal criminal justice system is infinitely more complicated for those defendants who are tried as unlawful aliens. If you or a loved one have a pending criminal matter in the U.S. and are an unlawful alien, there are special considerations that you must account for in defending your case. It is imperative to work with an experienced criminal defense lawyer who is well-versed in how a defendant’s status as an unlawful alien can complicate an appeal. Speak with Brandon Sample, Esq. today about any federal criminal matter that you would like to pursue on appeal regardless of the immigration status of the defendant.